In my experience, most professional fund managers and equity analysts are frequently given unsolicited stock ideas from clients and friends. Generally, these are small companies, with a great idea that is either going to turn them into the next Amazon or revolutionise a particular industry. Frequently these companies are difficult for investment professionals to value as they are often at a very early stage. They tend to be long on promise, but short on profits and assets that provide the basis of most valuation methodologies. Inevitably the person presenting the idea knows much more about the exciting technology behind the company and is very enthusiastic about its prospects. In this week’s piece, we are going to look at the processes and questions that investors should ask when looking at early-stage listed companies. Atlas is not endorsing any of the companies mentioned in this piece, they are only mentioned in the context of the process that we use in evaluating early-stage companies. 1. How much financial "runway" do management have? The first thing that I look at when reviewing one of these speculative companies is how much time or financial runway management has in which to commercialise their idea before running out of cash. Whilst companies can look to raise additional equity to extend this runway, this is almost always done at a discount to the prevailing share price and relies on supportive investors. Few early-stage companies are financed by debt, as the interest rates charged are likely to be high to compensate for the risk of lending to an unprofitable company. Investors should look at the company’s cash flow statement to gauge how much cash the company has been burning for the past six months. 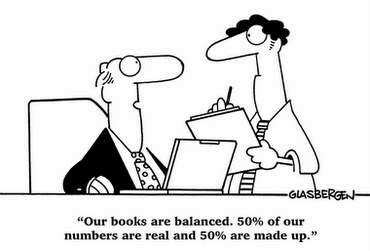 Compare this against how much cash is on hand on the balance sheet. The reason for using the cash flow statement is that this represents actual cash flows and is harder to manipulate than the profit and loss statement. For example, when I looked at cloud call recording software company Dubber in February, the company reported a cash burn of $4M in the previous six months, yet had $5.2M cash on hand. Here unless there is a dramatic change in the company’s fortunes, one could expect another equity raising within the next 9 months. Conversely, technology company Fastbrick Robotics had no debt and $10M of cash on hand. This is sufficient to fund the company’s development of a bricklaying robot beyond 2019. Without making any judgement as to the relative investment merits of the two companies, the second company has more flexibility to weather delays, without coming to the market to raise more equity to keep afloat. Obviously, the spectre of near-term equity raisings provides a cap on a company’s share price, as outside investors know there will be discounted share issues in the future. In more extreme circumstances, the lack of a financial runway has seen companies with solid ideas or assets going into administration, with these assets later picked up by competitors. The next step is to look at the experience of management and board of the company in question. Here what I am looking for is not so much experience at large and well-known corporations such as General Electric or Westpac, but rather experiences in guiding small and more financially unstable companies through to an IPO or trade sale. Large companies have little difficulty in getting attention from potential investors or banks and managing cash flows. Additionally, executives from large organisations are unlikely to have had experience of running a number of business areas while also having a laser-like control of costs. Looking at job management software GeoOp, it was apparent that the chairman and CEO have solid experience in the digital space and in running start-up ventures. Additionally, investors should look at the percentage of the company owned by management, as a management team with a significant portion of their personal wealth invested in the company are more likely to act as good agents on behalf of the other shareholders. Here investors should look at existing holdings, as well as the share options granted when management hit certain targets such as profitability and specific share prices. 3. Who else is on the share register? The presence of larger corporations or well-regarded fund managers on a fledgling company’s share register should be viewed as a good sign. This can indicate that others have done the due diligence on the company, and it is often helpful that they have the voting firepower to stand up to management and scrutinise decisions. The presence of competitors or corporations in similar industries could indicate the possibility of a takeover at a later stage. In the Dubber example mentioned above, the presence of small capitalisation manager Thorney on the share register at 6.4% is a positive sign. However, the presence of well-known fund managers on the register should not by itself be viewed as sufficient grounds for investment. Most if not all small capitalisation fund managers have positions in their fund that they now regret and may be quite illiquid at the size of their investment. What may seem to be a significant investment for an individual investor may only represent 0.25% of a large fund. 4. Who are the company's competition and what is the size of the market being addressed? All successful small companies face the spectre of competition from large industry players. In some cases, large competitors may be watching the target company closely, learning from their mistakes, before launching a competing product or technology drawing on the larger company’s scale and market access. Whilst “disruptive” financial technology companies or fintechs are very much flavour of the month at the moment, I find it hard to believe that the big banks and insurance companies are not keeping a close watch their activities. A great example of this is mobile payments company Mint Payments which in 2013 went from 2c to 40c per share on expectations that the company’s wireless point of sale would enjoy spectacular growth. The share price has slid back to 6c as the banks and technology companies such Apple launched competing payment products. When looking at the prospects for a company and its potential growth, it is important to look at the size of the market to which its products can be sold. A small niche market might not attract competition from larger players, but significant share price growth is unlikely to come from dominating a very small market. Additionally, investors should be wary when a company suggests that it has no competitors, often this is a case of no competitors yet. 5. What barriers to entry are there? A small company’s prospects of enjoying significant share price gains are significantly decreased if there is little in the way of barriers to stop other firms from entering into their industry. The technology sector in particular has been an elephant’s graveyard of large companies laid low by smaller, more nimble competitors that jumped over the low barriers to entry. Examples of once exciting companies that only had low barriers to entry include AltaVista, Netscape and Myspace. Recently we looked at social media marketing company VAMP that was planning on listing on the ASX and was backed by high profile Nova Scotian Qantas and Fairfax Media director Todd Sampson. The social media marketing firm had an exciting buzz as it was designed to capitalise on growing demand from advertising agencies and high-profile consumer brands to connect with Instagram ‘influencers’. However, on reflection, this particular antediluvian fund manager thought that the barriers to entry into social media marketing are quite low. Whilst most small companies have an exciting good, technology or concept that is inevitably presented in a form that will result in large gains in the share price, we see that it is helpful for investors to have a five-point checklist to look at when evaluating a small, exciting, yet unprofitable company. Atlas would like to thank our supporters whose ideas helped me write this article.